Having just finished Collecting Contemporary my antennae must have been tuned to the collector wavelength, for I found another book about a passionate collector: Dutch TV tycoon Jef Rademakers. 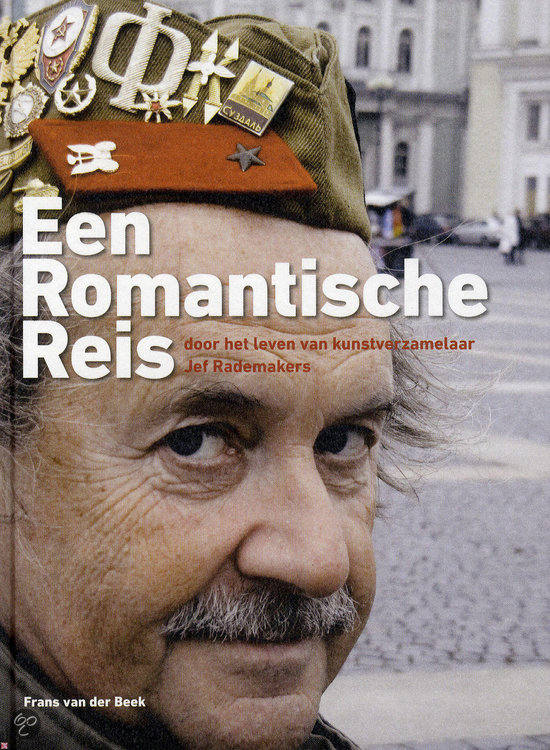 The book’s title is ‘Een romantische reis door het leven van kunstverzamelaar Jef Rademakers’ i.e. 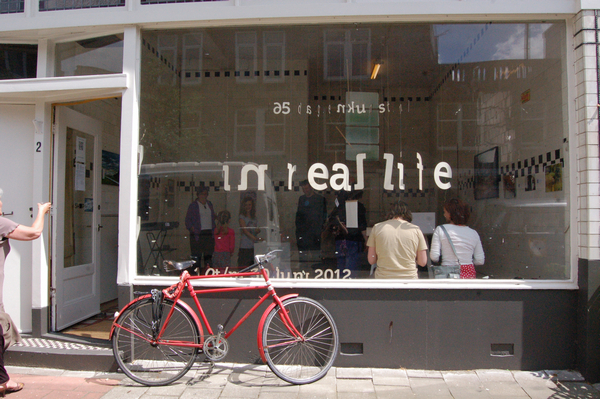 ‘a romantic journey through the life of collector Jef Rademakers’. Rademakers was the genius behind a lot of popular TV formats, had enough of TV when he was 40, sold his production company, moved himself, his family and his fortune to Belgium and started collecting art. Rademakers made the remarkable decision to go for 19th century Dutch and Flemish art – the romantic period that is so under-appreciated by present-time art buffs. 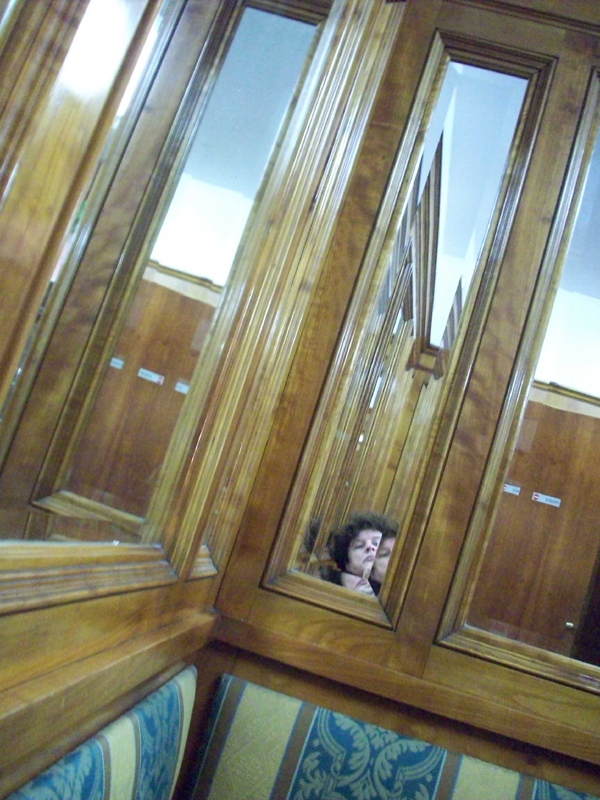 This was a decision both practical and poetic: the paintings he started to collect were within his price range and he got to exercise his love for ‘looking back – which can give solace when looking forward is no use‘ (page 10, my translation). “It is a mistake to say that romantic art is saccharine and safe. Look at the threatening clouds in romantic paintings, the ruins and ripped-off branches that symbolise transitoriness and death. There is always a feral element, something threatening, it’s always a double take: not just beautiful, but precariously beautiful” (page 46). And did so very successfully! 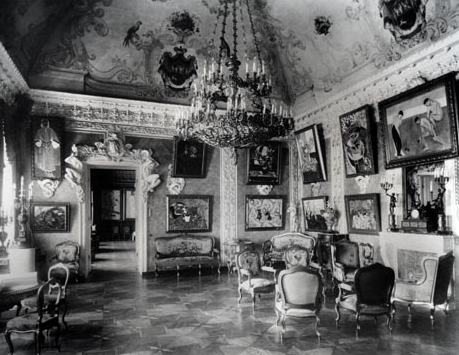 For in october 2010 the Rademakers Collection travelled to the Hermitage in St. Petersburg to be shown under the title “Through the Romanticist’s eyes” – a collectors dream. The book describes the trip Rademakers took to accompany his paintings – a boys-will-be-boys story – which irks me – not a great read. What I do find interesting is the part where Rademakers talks about his devotion – or addiction, even – to collecting, for ever since reading Contemporary I’ve been trying to understand the wish to own stuff. So I looked for his reasons to want to own a remarkable collection. The local-boy-makes-good idea is of course a motivator: look what I have! Apart from that, Rademakers lives the romantic for a reason. The paintings on his walls are his windows to the past, for looking forward holds no appeal for him: “future and death are really synonyms” (page 10). He also likes to wipe the eye of art pundits that treat Dutch Romanticism with disregard, sometimes coldshouldering it completely: “According to old-fashioned arthistorians, Romanticism never took hold in the Netherlands. People in our part of the world are deemed too practical and businesslike to have a romantic take on life. The words ‘behaving normally is strange enough’ are deeply rooted in our national character. Apart from this, our geography is deemed too flat for a romantic view of landscape: no white cliffs, no snowwy mountaintops,, no gulfs, abysses or perilous depths. Both our soil and our souls are deemed too flat for the intense emotions of romanticism” (page 108). Romanticism as a life raft – the title of his lecture at Hermitage – sums it all up: one needs to own one’s dreams in order to keep afloat. 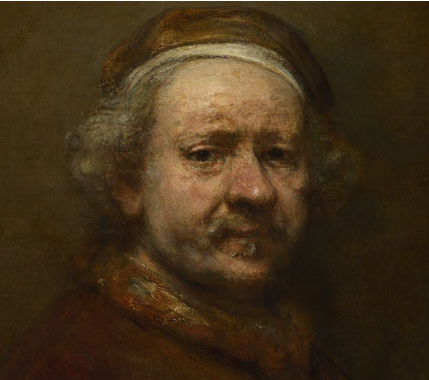 Later: The Rademakers on the cover looks like this Rembrandt self portrait – cap, hair, moustache, nose, the look in his eyes, even … Coincidence?